The Winged Lion is the traditional symbol of Venice. It is the symbol of Mark the Evangelist, (The apostle). "Pax tibi, Marce, Evangelista meus". This is Latin, meaning, "Peace be upon you, O Mark, my Evangelist". 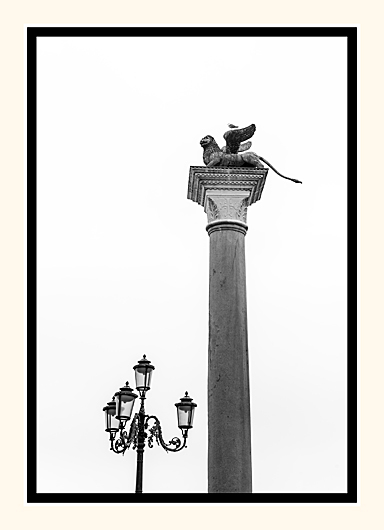 The Winged Lion can be seen everywhere in Venice.